for a charming TED video of Susan’ Cain’s book: The Power of Introverts. Or GOTO http://www.youtube.com/watch?v=hYn6NeWemVw for a 4 minute with her. However, there is some confusion about shyness and introversion. SHYNESS AND INTRAVERSION ARE NOT THE SAME THING. Read the article and watch the 4 minute video. A plethora of information about the advantages of introverts has been coming out lately. To review introversion, click the second introversion button to the right side of this blog. A recent article in the Journal suggests that now may be a fine time to be a leader-introvert. It’s a good read. 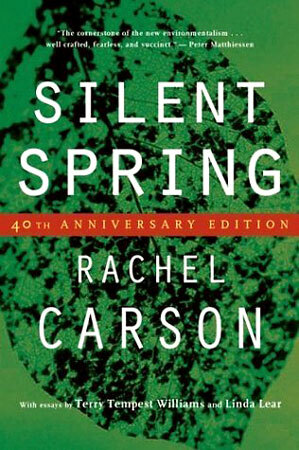 This week is the 50th anniversary of the publication of Silent Spring, a book that changed how government and business viewed and used chemical pesticides, particularly DDT. The New York Times Business section occasionally does bios of leaders who had significant impact on our society. An article by Nancy F Cohn entitled From Calm Leadership, Lasting Change is such a bio and a fine read. Make some time in your life, every day if possible, to spend in deep reflection. I hope you will be in conversation with the most interesting person you know, your greatest supporter and your harshest critic. Doing this will certainly have a powerful positive impact on the quality of your life. Susan Cain has recently writer a book on introversion, although I don’t recommend it to you because some of the Amazon reviews note that her presentation of the science is not very good. I do recommend you spend a few minutes watching her. Visiting with managers, I often hear them complain about being interrupted during the day by people bringing issues to them. It may well be they are micro-managers who demand final decision on everything. But more likely they are suffering from the bane of an “open door” policy. This is one reason I am not much of a fan of such practices. Open doors draw a non-random group of your employees and often exclude the people you want to hear from. Managing is a proactive endeavor and you get the very best from people when you take the time to ask. Being constantly interrupted also precludes the possibility of experiencing “flow.” This happens when you are working on a solitary task and your mind and body coordinate to produce extraordinary results. Research shows that multi-tasking is simply fast switching. Many people are proud of their ability to multi-task. Sadly, these people will never experience flow. I once worked with a CEO who closed his door and turned off his phone for 90 minutes every day after lunch. He noted that people quickly adjusted to his inaccessibility and he had his best insights about the business during these moments of solitude. For me the environments producing my best insights and solutions to problems are swimming and showering. The absence of interruption, inward focus and warm water create what seems to be the opportunity for productive thought. Most of us, particularly introverts, function better when we have some daily time to ourselves. Even extreme extraverts can benefit from such “downtime.” Do you have enough downtime and where are times and places where you have the opportunity to reflect? Last week we reviewed the importance of sleep, when cognitive processing occurs, and noted that moving from the spoken to the written word improves the rigor of thinking. Going back to The Rise of the New Groupthink, Susan Cain notes that using e-brainstorming can actually enhance the process. What she means is giving people time to reflect on a written Q and allowing them to sleep on the problem produces better results. The e-format simplifies the logistics of the process. Aside from the fact that brain storming gives zero time for reflection and effectively excludes most introverts, it is also possible for a facilitator or dominant person(s) to the hijack the process. I was in a strategic brain storming session some time ago where the facilitator consistently failed to write what the participants were saying thus hijacking the process. When confronted about his behavior he was unable to change what was essentially a process of open manipulation. The Rise of the New Groupthink has a ton of interesting ideas in it. Research shows brain storming is not such a great idea if you are looking for creativity. Let me reiterate and discuss this further. In addition to the fact that it precludes input from introverts, who live in their heads and thus are very creative, it has some other problems. Let’s take a look at these with me (an introvert) as the lab rat. If you spontaneously ask me a Q in a group setting I can give you a fair to good answer, but if you let me sleep on it I will give you a better, perhaps superb answer. It is clear that the brain cycles during sleep and that processing is going on during one of these stages. “Sleep on it” is good advice for important decisions. If you provide me with a written question and ask for a written response in a couple days, after I sleep on it, you will get a superb answer (I hope). Consider the enormous difference between the spoken and written word. These blogs are written and rewritten with care, what pops out of my mouth is, as my social director says, like a gumball machine. Going from the spoken to written word improves the rigor of thinking by orders of magnitude. The opportunity for reflection provides an enormous cognitive edge. More next week.